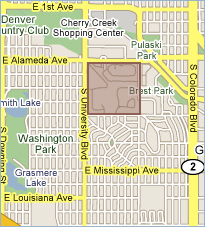 The Polo Club neighborhood is located directly south of Cherry Creek Mall in an area identified as Denver South East. Architecturally it has a movie-set-type facade, with sprawling/towering/dominating Greek and Gothic revivals, Tudors, post-moderns, missions, neo-eclectics and colonial mansions all occupying what is actually a small, but exclusive, neighborhood. However, despite this big-house-versus-small-neighborhood dynamic, there’s no threat of claustrophobia in Polo Club. Polo Club Denver real estate is well-spaced, with sprawling plots of land and big front yards adorned with mature trees casting welcoming pools of shade. In contrast, the north-western edge features blocks of comparatively humble classic ranch-styles. In addition to these single-family homes, there are some private condo communities like Courtyard at Polo Creek and The Polo Club. Polo Club Denver real estate is listed with the zip code 80209. The real joy behind the Polo Club neighborhood lies in the dynamic between an exclusive-community adjacent to the hustle-bustle of Cherry Creek. 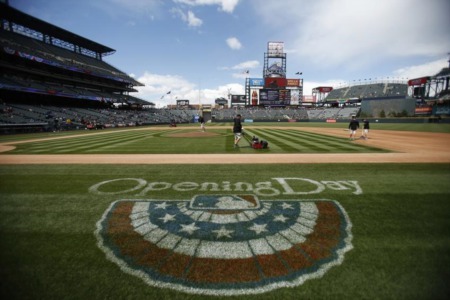 It’s a pocket of tranquility surrounded by everything from the buzz of high-end boutiques and salons in Cherry Creek North to the nationally well-known Saks Fifth Avenue and the simple but elegant Elway’s in the Cherry Creek Shopping Center. Also, Colorado Boulevard is home to King Soopers grocery, Barnes and Nobel, Wild Oats natural food store and Home Depot. When those big yards aren’t enough, you can try the dog-friendly, jogger-friendly, kids-let-loose-friendly Washington Park. 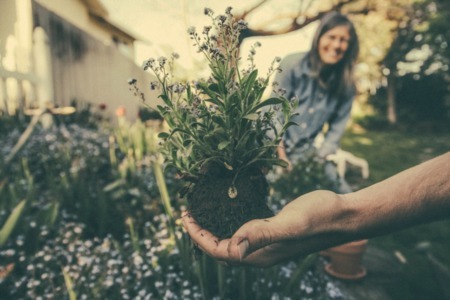 A bike ride away from the Polo Club neighborhood, the 165-acre twin-lake Wash Park has all things athletic including a 2.6 mile crushed granite jogging path, 54 flower beds, a kid’s fishing pond, eight tennis courts, two playgrounds, soccer fields and a paved bike path. Additionally, beyond University on the north-west side is the Denver Country Club, while the 40-mile long Cherry Creek bike path traces the top border. Colorado and Steele/Speer Boulevard are both major thoroughfares leading to I-25, I-70 or both. © Copyright 2019 The Neir Team. All Rights Reserved.